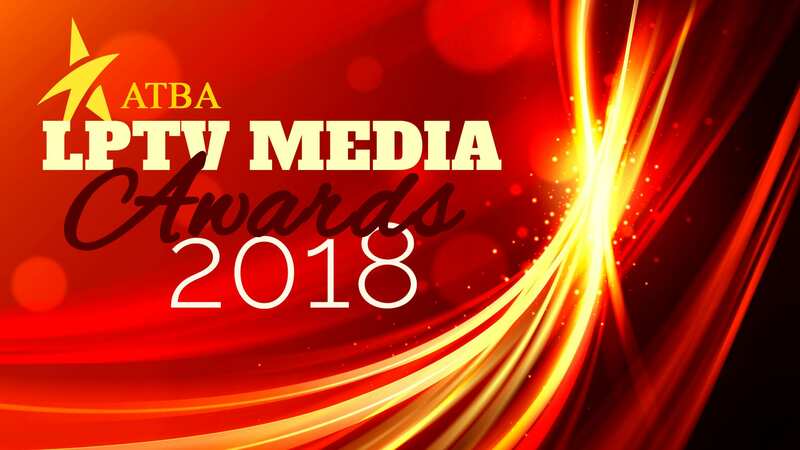 The ATBA is hosting the 4th Annual LPTV Awards during NAB 2018. Here is your opportunity to shine the light on your work and the excellence in the LPTV Industry. The winners will be presented at the ATBA Awards Reception at NAB on April 9, 2018. Entry must have been produced between January 1 ,2017 and December 31, 2017 and aired on an LPTV Station. NEW for 2018. Entrants MUST be current members of the ATBA for 2018. All entry material must be sent to us by 5pm on Monday, March 19, 2018. After entry form submission, send media by Dropbox.com, Google Drive or WeTransfer.com to lmiller@msgpr.com . Judges will include seasoned independent professionals in the industry. ATBA Board Members and staff will not be included as judges. Judges will work independently and will judge entries on a points basis that will be tabulated together for the winners. NEW! Submission Guidelines can be found here.